All of which amounts to little more than conversational fodder for PI Nero Wolfe and his assistant Archie Goodwin. But if Cramer's provisional replacement, Capt. George Rowcliff, becomes permanent, Wolfe's future dealings with the force will be much compromised. Loath to depart from his routine, Wolfe makes the unusual decision to take on a case without an actual client. His investigation quickly points toward Pierce's organization, Good Government Group, where high-minded idealism is often trampled under the competing ambitions of the staff--several of whom would clearly have benefited from Pierce's demise. Despite the burgeoning list of suspects, Wolfe hasn't ruled out the involvement of the underworld and its connection to Cramer. But in order to untangle an abundance of motives and end the inspector's forced furlough, Wolfe may have to venture out of his comfort zone--and the premises of his brownstone. 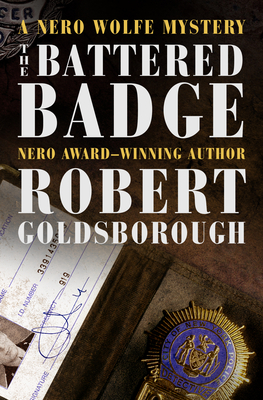 Continuing his beloved series--which also includes Archie Meets Nero Wolfe, Murder in the Ball Park, Archie in the Crosshairs, and Murder, Stage Left--Nero Award-winning author Robert Goldsborough "demonstrates an impressive ability to emulate Rex Stout's narrative voice" (Publishers Weekly, starred review). Robert Goldsborough (b. 1937) is an American author best known for continuing Rex Stout's famous Nero Wolfe series. Born in Chicago, he attended Northwestern University, and upon graduation went to work for the Associated Press, beginning a lifelong career in journalism that would include long periods at the Chicago Tribune and Advertising Age. While at the Tribune, Goldsborough began writing mysteries in the voice of Rex Stout, the creator of iconic sleuths Nero Wolfe and Archie Goodwin. Goldsborough's first novel starring Wolfe, Murder in E Minor (1986), was met with acclaim from both critics and devoted fans, winning a Nero Award from the Wolfe Pack. Six more novels followed, including Death on Deadline (1987) and Fade to Black (1990). In 2005, Goldsborough published Three Strikes You're Dead, the first in an original series starring Chicago Tribune reporter Snap Malek. His most recent novel is Murder, Stage Left (2017).